Day 1. Early morning pick up from Adelaide Bus Depot in Spirit Australia’s all terrain coach and travel to Renmark, stopping along the way at Banrock Station for lunch. At Renmark turn onto the back road to Wentworth travelling past Calperum, Chowilla and Kulcurna Stations to Rufus River (site of an infamous massacre) and past Lake Victoria to Wentworth for accommodation, dinner, bed & breakfast. Day 2. Board “Spirit II” after breakfast and cruise to the junction of the Murray and Darling Rivers, then travel upstream along the Darling past Tapio Cutting and Tapio Station to Avoca Station for a light lunch. Reboarding after lunch cruise further upstream past Bellevue Station until the river becomes narrower and shallower where we turn back to Wentworth for accommodation dinner, bed and breakfast. Day 3. After breakfast depart Wentworth by coach travelling north towards Pooncarie along the route of the Darling before turningoff into Lake Mungo National Park, an ancient ice-age lake bed. Lake Mungo is internationally significant for the discovery of Aboriginal remains of Mungo Man and Mungo Lady as well as the fossilised footsteps of a family embedded in the clay pan. 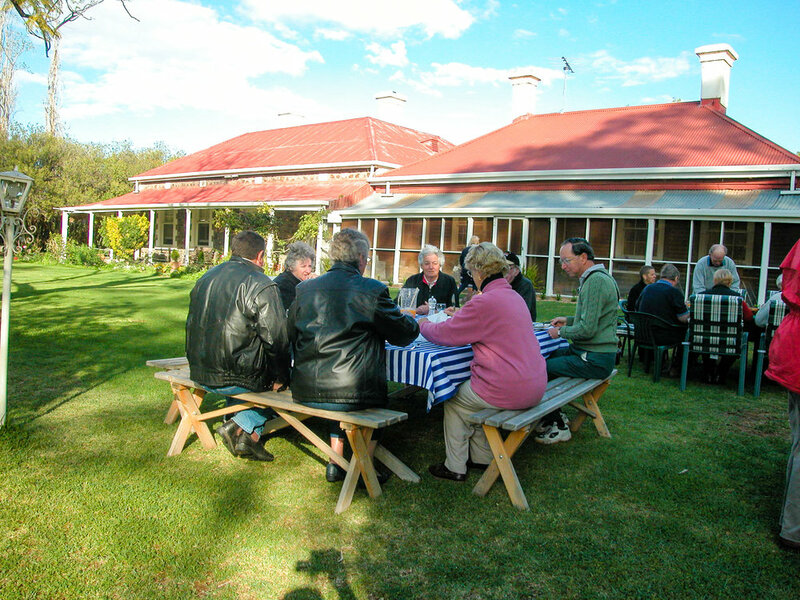 See the Walls of China formations and visit the displays at the park information centre, the old shearing shed and enjoy a picnic lunchbefore travelling cross country back to Balranald for dinner, bed and breakfast. Day 4. Re-join the boat at Balranald after breakfast and cruise the Murrumbidgee River downstream to the Balranald Weir, lunch on board as we cruise, tour the Yanga Woolshed then cruise back through Balranald and on upstream to the bridge before returning to Balranald for dinner, bed and breakfast. Day 5. 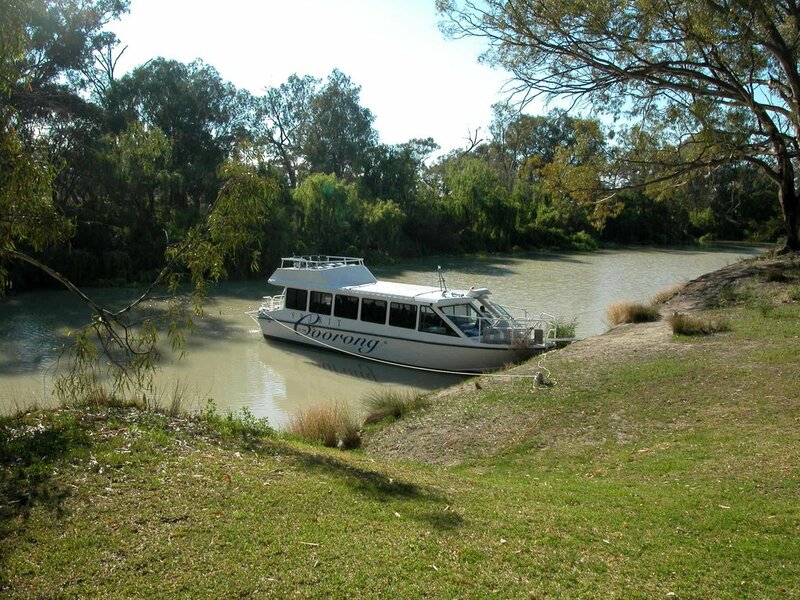 Transfer by coach after breakfast to Kyalite to board “Spirit II” and cruise up the Wakool River to the junction of the Edward River and then a distance up the Edward. Lunch on board cruising the Edward River before returning to Kyalite and transferring by coach to Tooleybuc for dinner, bed and breakfast. Day 6. After breakfast board your coach for return along the Mallee Highway via Manangatang, Ouyen, Lameroo and TailemBend to Adelaide, stopping for lunch along the way and arriving Adelaide about 4.30pm.